Dear friends we have to produce INCOME TAX form 16 before our salaries claimed in this month. 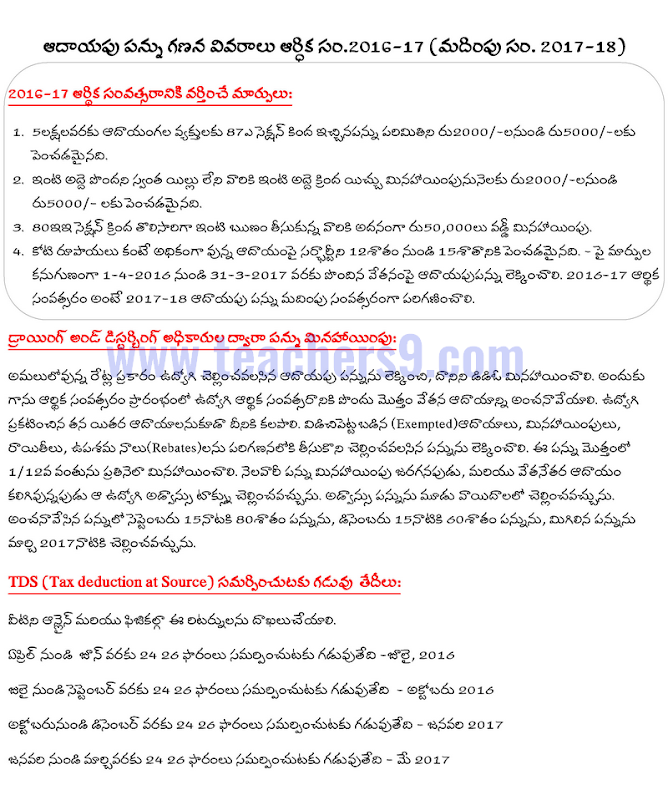 In this regard I prepared all INCOME TAX DETAILS IN TELUGU to understand easily. So dear friends take a look at this post INCOME TAX DETAILS IN TELUGU and send me any modifications to be made and comment your opinions and suggestions. under section 80CCD(2) the max limit is 10% of the employ salary(C.P.S employer's contribution i.e government contribution) and it includes in 80CCE i.e both C.P.S contribution amount limit is 1,50,000 only. I must admit this was one of the best article which I have been through on income tax, until now. Thank you very much sir/madam. Really you are doing great work sir, thank u very much. Thank you sir,,,really appreciate you..